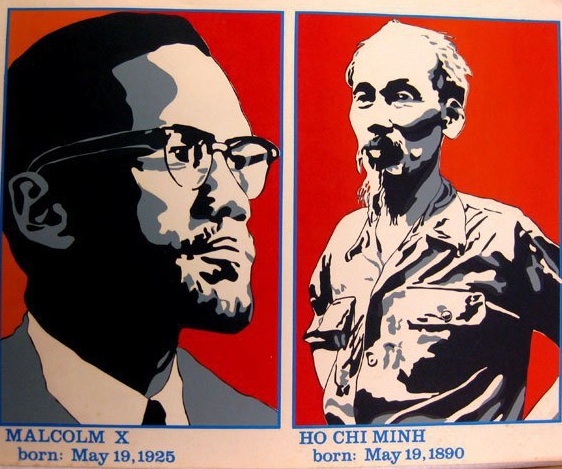 Today, May 19th, we celebrate the lives of two heroes of the anti-imperialist struggle. We celebrate the birth of Malcolm X, one of the greatest leaders of the Black liberation struggle against the United States. Although not a communist, Malcolm X was an important freedom fighter who stood with oppressed peoples everywhere in their struggle against imperialism. His life was tragically cut short by an assassin’s bullet. His words, his example, inspired and continues to inspire the Black liberation movement to this day. He was an important figure in the development of later movements, including the Black Panther Party in the 1960s. of the law turns without pause. Men and animals rise up reborn. Great days are ahead of us, comrades. We are a movement of heroes. Our journey is long and hard, but with each day, we accomplish small victories. Do not let the flies bother us. Keep marching. The future is ours. Long live the Leading Light!